There is no question that dentistry is more of a business today than it has ever been. The days of dentistry as a “cottage industry” have been replaced by a large scale and tightly-organized industry. I can remember when I started my own practice in the late 1980s. It was a crude business operation. My technology consisted of a phone line. Eventually we were thrilled by the addition of our answering machine. Our bookkeeping and billing system included a pegboard, ledger cards and a handwritten checkbook ledger. I clearly remember the excitement of transitioning our bookkeeping to a computer and the first version of Quicken. Our schedule was managed with a spiral bound appointment book. My marketing was a yellow page ad, viewed at the time disdainfully by organized dentistry, and HR only stood for Home Run. Today, we have practice management software that can provide a business analysis in seconds that once took hours or even days to produce. We have a patient communication system that allows us to confirm appointments by email and text message. We have the ability to create images and radiographs that can be sent by secure transmission online to patients and specialists. We also have the ability to market our practices through social media and our website. I can even view various components of my practice management software, including the clinical schedule, via an “app” on a phone that fits in my pocket from almost anywhere in the world. These changes highlight only a small number of advancements in our industry. Dentistry’s evolution into a more business-like operation has been in great part fueled by the attractive profitability of dental healthcare. In 2014 U.S. News & World Report ranked “Dentist” as the 3rd best job in America, only behind Software Developer and Computer Systems Analyst. “Dental Hygienist” also rounded out the top 10. When other businesses see a successful industry, they will look for opportunity to partner and share that success. As a result, dentistry is now being presented with a plethora of products and services to help dental practices operate more efficiently, provide better care and ultimately, be more successful. Various banks have become specialty lenders to dentists, offering extremely favorable rates on practice purchase and practice build-out loans. In many cases these loans are being offered to new dentists coming out of school who already have student loan debt above $200,000.00. These banks have identified dentistry as a very favorable place to invest their money, because risk and failure rates are very low. Recently a large pension fund saw dentistry as an attractive place to achieve growth, to the extent that it invested over a billion dollars for a controlling stake in a large dental practice management company. Not a day goes by that I don’t receive multiple emails promoting the latest, greatest product or service, the best kept secret to success, how to acquire new patients, tips for case acceptance, training programs on how to answer our phones and how to change my “overpaid and underperforming” staff. Now more than ever, understanding the key business components of running a dental practice is crucial. A practice owner must know what products and services are available to help a dental practice run more efficiently and profitably in today’s marketplace. This is particularly true for solo practice owners. They are competing with emerging group practice models which often have the advantages of outside investors, larger management teams, dental service organizations and economy of scales. They also attract newer, debt-strapped doctors who prefer immediate cash flow and freedom from management responsibilities. Increased regulation and lower reimbursement rates of managed care add additional pressure to optimize a practice’s operation. It is beneficial to identify which products and services will be of the greatest value to the operation of a dental practice and most importantly, to the health care of its patients. First, the dentist must determine which products and services are most useful. Next, the dentist needs to understand how they impact the practice not only in terms of profit but in terms of quality of care. The dentist can then delegate their acquisition, implementation and operation to the business manager, office manager or other outsourced professional. This frees the dentist to practice dentistry as he or she chooses. The dentist doesn’t need to be the one gathering the information that goes into financial reports, job descriptions, office manuals, websites, marketing materials etc. The dentist also doesn’t need to be the person to create these tools. Instead, the dentist should focus on the big picture and whether or not to respond with change. Equally important is the need to be highly selective of the business partners. A practice may outsource practice management consulting, HR, marketing, technology or any other aspect of operating a successful dental practice. However, there should be an adequate return on the investment in these products and services to justify their employ. Additionally, it is sensible to evaluate the people and the companies you associate with in the same way you would a prospective employee. For mostly better and sometimes worse, a practice owner must be a savvy business person. A practice owner must constantly keep abreast of the latest business trends and best business practices. It is important to understand that products and services which increase your profit do not necessarily increase your quality of care. Ultimately, the integrity and success of our profession requires that we make decisions founded in providing the highest quality healthcare. 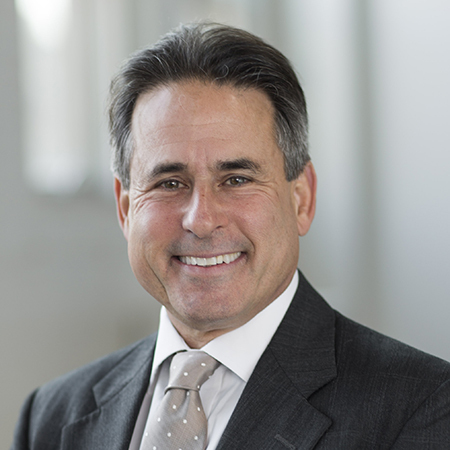 Dr. Bill Simon is a full time practicing dentist and owner of two multi-doctor practices in Chicago, Illinois. Dr. Simon speaks to and mentors new dentists, consults and speaks on doctor/office manager relations and is involved with various committees and activities across the Tripartite.